This is a very attractive stitch. According to Barbara Walker, this stitch was used in a vest (undershirt) for King Charles I, which he wore on the day of his execution. 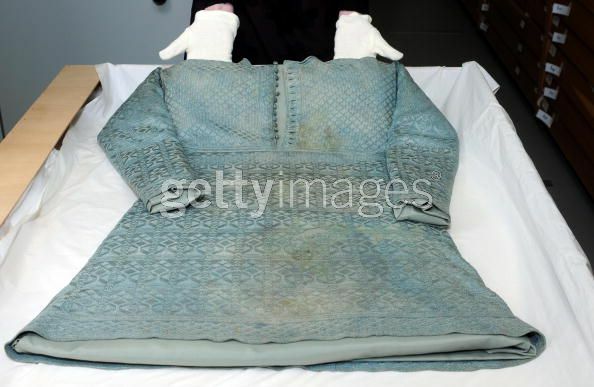 You can see a photo of the vest (bloodstained) at the at getty images. It is worked in very fine silk. Imagine that amount of work for something worn for a decapitation, yikes! Row 2: K1, * p1, k1, p7, k1, p1, k1; rep from*. Row 3: K1, * p1, k1, p1, k5, (p1, k1) twice; rep from *. Row 4: P1, * (p1, k1) twice, p3, k1, p1, k1, p2; rep from *. Row 5: K1, * k2, (p1, k1) 3 times, p1, k3; rep from *. Row 6: P1, * p3, (k1, p1) twice, k1, p4; rep from *. Row 8: Repeat Row 6. Row 9: Repeat Row 5. Row 12: Repeat Row 2.